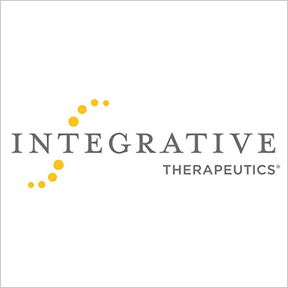 For over 35 years, Integrative Therapeutics® has focused on the development and manufacture of clinician-created, evidence based nutritional supplements for an integrative approach to restoring and maintaining optimal wellness. To provide effective formulations, Integrative partners with qualified suppliers who must meet high quality ingredient standards. All raw materials undergo a strict laboratory qualification process to confirm identity, safety, potency and bioavailability, as well as ensure the absence of heavy metals, microbials, pesticides and contaminants. Products are manufactured in a temperature, humidity and pressure controlled NSF GMP audited facility. Their adherence to truth in labeling regulations ensure consistency, purity and potency, as well as validated shelf life. Krebs Magnesium-Potassium Complex: The Krebs cycle, also called the citric acid cycle, is at the center of cellular metabolism, where energy is generated. This product provides magnesium and potassium complexed to the Krebs cycle intermediates, citrate and malate, in support of healthy energy metabolism and healthy heart function. Free of gluten, wheat, dairy, yeast, corn, soy, salt, sugar, animal derived ingredients, preservatives and artificial flavoring. Vegetarian formulation. AllQlear™: This chewable, fast-acting proprietary formula provides seasonal sinus and respiratory support, as well as year round support for healthy mast cell stabilization. As part of the immune system, mast cells mediate inflammatory responses, such as hypersensitivity and allergic reactions. The flavonoid quercetin is included for better absorption and bioavailability. Free of gluten, wheat, soy, dairy, sugar and artificial colors, flavors and preservatives. Contains quail egg. Super Milk Thistle® X: Formulated with bioavailable milk thistle complexed with supportive botanicals, this product supports healthy bile flow and liver function. Ingredients include milk thistle phytosome, artichoke, dandelion and licorice. Free of gluten, wheat, dairy, salt, sugar, yeast, animal derived ingredients and artificial colors, flavors and preservatives. Contains soy. Vegan formulation. End Fatigue™ Adrenal Stress-End™: The endocrine glands and their hormones influence many bodily functions. End-Fatigue® is formulated with freeze-dried adrenal powder and provides vitamins and minerals depleted by stress. This product is designed to support optimal adrenal gland function, proper metabolism, stress management and healthy energy levels. Gluten, wheat, dairy, soy, salt, sugar, yeast and artificial flavoring and preservatives.